Joanna and I will forever owe our budgeting beginnings to the man, the myth, the legend, Mr. Dave Ramsey. A friend lent us The Total Money Makeover one fateful day, and our financial lives were changed forever. We adopted “gazelle intensity” as a normal phrase in our household. We listened in awe to countless once-indebted couples who shared their stories and let out Debt Free Screams on his radio show. We were drinking the Ramsey Kool-aid and we wanted everyone to know about it. Maybe some of you have a similar story. Maybe it wasn’t Dave Ramsey, but rather a different financial guru who helped get you on the path to financial independence. But after we started to finally get the hang of this whole budgeting thing, we started to realize something. While certain basic financial rules are absolutely essential to success, others aren’t. Some rules, if not followed, can and will make or break your finances. Spend less than you make. Give every dollar a name. Learn to control your money or your money will control you. These are just some of the financial commandments. With time, we learned that the “personal” aspect of personal finance was really really important. Everyone’s set of financial rules is going to and should be different. The longer we budget, the more we believe this. So while we once were lost and Dave Ramsey helped us see (this is getting entirely too religious and idol-worshippy), here are a few of his rules that we’ve since officially graduated from, never to look back. Dave is a big proponent of using cash for everything. And it’s not just because he hates credit cards. His belief is that, psychologically, people spend less money when they use cash. One thing’s for sure — it certainly makes it much more difficult to spend cash in today’s day and age (unless you live in cash-only NYC), but I don’t think this was his point. We tried this method for a couple of months. And while it was a good way to buckle down and get serious about budgeting those first few months, it was extremely inconvenient long term. As far as the psychological aspect of using cash, we’d much rather learn to rely on our itemized budget than always leaning on a crutch. If we stick to our budget, it shouldn’t matter whether it’s with cash or any other form of payment. Also, cash is really dirty — like 90%-of-all-bills-are-covered-in-cocaine dirty. No, thanks. Okay, so we were never on board with this rule. Dave Ramsey doesn’t think it’s worth it to go into debt for higher education. He argues that there are always cheaper schools, jobs available to concurrently pay for tuition, and bounteous scholarship options. For a number of reasons, we’re just not on board with this one. We don’t agree with most debt, but appropriate student loans in modest amounts is permissible debt in our eyes. Sure, we wouldn’t have ever been $20k in the hole with the Student Loan Debt Monster if we’d followed his advice. But we also would have had a much different college experience, one that might not have included our majors and accompanying post-grad careers and salaries. Or we’d have gotten into them years and years later. The income opportunity that we gained by attending college (instead of waiting until we could pay for it in full) was worth every cent of debt we incurred. On the flip side, Johnny and I made sure to not increase our debt by holding jobs, graduating in four years, applying and qualifying for scholarships and grants, and choosing a school with well below average tuition costs. So while we disagree that college needs to be paid for upfront, we strongly advocate against approaching college finances recklessly. One other point, and this might be slightly controversial — I think our student loan debt was a good thing. Had it not been for our early encounters with the Debt Monster, I don’t know if or when we would have started budgeting. We could have very well lived in naïveté and thought that so long we weren’t overdrafting our checking account every month, life was good. For us, I genuinely believe that facing debt right out of college was a blessing in disguise. 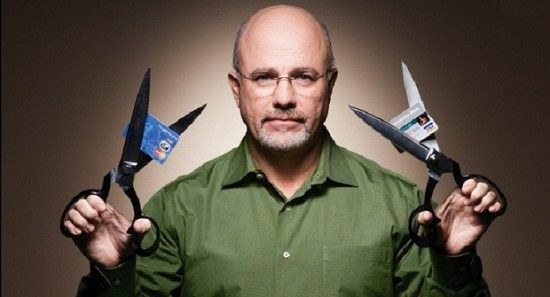 Dave Ramsey hates credit cards and thinks they’re the devil. I distinctly remember reading his chapter on credit cards, calling up and proudly canceling the one or two credit cards in my name, and chopping them up with scissors. I was so pumped up to stick it to the “man” aka credit card companies. I wasn’t going to fall for their seductive tricks! Now I want to punch old-me in the face for ruining my credit score on cards that I barely ever used and always used responsibly. We think that as long as credit cards are used responsibly (i.e., paid off in full each month), they can be a good tool and there’s no reason to demonize them. They’ve helped bolster our credit scores, and we’ve never once paid for a flight throughout our entire marriage thanks to miles rewards. If you’re a Dave-diehard, I know what you’re going to say: no millionaire became rich by gaming credit cards. This is true. But in our case, we also would have never flown home to see family or taken the occasional vacation had it not been for credit card rewards. It’s not about getting rich off of credit card rewards — it’s about maximizing money that you’re going to spend anyway. As long as they’re used within the bounds of our budget and paid off in full each month, credit cards are our preferred form of payment. If, however, we had ever struggled with controlling our credit card spending, we would avoid them like the plague. If you fall into this camp, continue to heed Dave’s counsel. But, if you, like us, have never had an issue with spending money you don’t have, join the “dark side” and milk those credit card companies for all they’re worth. Just as Dave Ramsey recommends, we paid off our debt using the debt snowball method, starting with our smallest loans first instead of our highest interest loans. We would still recommend this method to most people trying to get out of debt for the very first time. It helped provide us the psychological boost and motivation to keep chugging along when the going got tough. While that was the right method for us for our specific loans and at our stage in life, we don’t think this should be the only method you ever consider. In fact, if someone has credit card or payday loan debt with much higher interest rates than, say, student loan debt, the higher-interest debt should probably be paid off first. Depending on the person, the amount of debt, the type of debt, and a number of other circumstances, the debt snowball and debt avalanche methods have their respective strengths and weaknesses. We don’t think the decision is as cut and dry as Dave Ramsey makes it out to be. And at the end of the day, the important thing is that you’re paying off your debt. Another rule Dave Ramsey is adamant about is following all the Baby Steps in order without any deviation from the plan. That includes stopping all retirement contributions while paying down debt. While it’s important to really focus and capture that “gazelle intensity” while getting out of debt, we also can’t deny the importance of contributing to retirement at a young age. In most cases, compounding interest is going to be exponentially more valuable than a few extra months or years of additional debt interest. Moreover, if your company offers a 401k match, it’s just short of stupid to pass up free money. Again, there might be certain circumstances where it makes sense to stay the course and just focus all extra money on debt payoff. But free money is free money, and odds are the math will usually be in favor of taking that over the extra money thrown at your debt. Sorry, Dave. Before starting the debt payoff process, Dave recommends having a $1,000 emergency fund in place. From the beginning of our debt payoff process, $1,000 just didn’t feel like enough to protect us from a rainy day. Having only $1,000 for an unexpected financial emergency made us feel really uncomfortable and vulnerable, so we kept our emergency fund closer to $5,000 while we were slaying our Debt Monster. The last thing we wanted was an emergency or job loss that forced us to go into ever more debt because our emergency fund wasn’t padded enough. For many people, it takes every last penny to save up enough for a $1,000 emergency fund — and that’s perfectly fine and admirable. Anything is better than nothing. But if you’re in a less dire situation and already throwing a few hundred extra bucks at your debt each month, take a gut check and figure out what amount will help you sleep a little better at night. So Dave, while you’ll always have a special place in our budgeting life, bookshelf, and pendant hearts with your photo inside (please know that we’re not that creepy), there are a few areas where we’ll just have to agree to disagree. We don’t claim to be smarter or wiser than you, but we do feel it’s time we and others grow our own financial wings and graduate from some of your Baby Steps. And at the end of the day, what’s most important is that we’re sticking to a budget and hitting our financial goals. How we do it is up to us. For the Dave Ramsey-ites out there, are we speaking utterly blasphemy? Have you graduated from some of his rules? Tell us what you think before we get struck by lightning by the budgeting gods. I am a fan of Mr Ramsey, but I also don’t believe in getting rid of all credit cards. About a year ago my FICO Score was a hot mess and utilizing my credit cards responsibly was what helped raised my score that truly reflect the responsible women I have grown up to be. I also believe that there is not a one size fit all emergency fund. Your emergency fund should be geared to your personal needs for your present life. My emergency fund has to be more than $1000 for I live overseas and that amount would never be able to help me jump on a plan to get home, so my emergency has to be at least $3000 to fit the needs of my family. Totally agree on both points! I am a recovering creditcardaholic. Credit cards are baited traps. These credit card companies are the same as pay day loans, pawn shops, and used car dealers. Air miles are the cheese. Guess who is the mouse? You are. In small print they changed my pay date. I went to 25.99 percent interest. I was also late with my payment, once. I will tell you that they will get you. You can not beat them. If they were giving away money that you would pay back with no interest they would go out of business. They know human behavior. You will overspend with a credit card. Overspend, Rinse, Repeat. You think you are one of the 25 percent of Americans with credit cards that are blessed and you can grab the cheese without getting your spine crushed. I will never play the credit card game again. Statistically, you will most likely loose. I am also a Dave Ramsey graduate. His book also helped me understand what I needed to do to get out of debt – and stay out – but like you, I didn’t follow his advice word for word. I kept my credit cards and I use them as my primary form of payment. I understand why he gives the advice to get rid of credit cards, but I would probably recommend maybe freezing them for a while until you get control of your spending. Once you’re in control, it doesn’t matter what form of payment you use. That being said, I highly recommend The Total Money Makeover to everyone who is in debt. The positives in this book highly outweigh the negatives. Yes, I couldn’t have said it better myself. Overall, he’s very helpful, and it’s a great book for starting out. But there is a time and a place for graduating from some of its principles! I completely agree with your points. I am a fan of Dave Ramsey (having only discovered him after I was out of debt) but I don’t follow his teachings 100% either. I still have credit cards (and charge almost everything to them, but always pay them off in full every month), and I’m currently paying extra toward my mortgage rather than putting 15% toward retirement. I live in CT where houses are expensive and it makes more sense to me to try and avoid as much mortgage interest as possible. The baby steps are great but once you have your finances in order I think it makes sense to do what’s best for you personally rather than stick to his plan 100%. Yes… that’s the key. Once you have your finances in order, it’s important to remember that you can personalize the rules to suit your own situation! This might be one of my favorite posts y’all have ever written! I’ve never been on the Ramsey train, and it’s because of many of the reasons you’ve outlined here. For me, I just can’t get onboard with a method that blatantly ignores the HUGE benefits of credit cards and in general has a “my way or the highway” feel. (This will probably catch me a lot of grief, but) I also can’t help but feel like Ramsey’s techniques are quickly becoming outdated (2003 was 12 yrs ago in case anyone has lost count). Where is “Total Money Makeover – 2015 edition”?? Yes, some of his concepts could be considered “timeless” but I can’t help but think that there has to be something within the last 12 yrs that’s worthy of being included in the Ramsey gospel. No, I think you make a really good point. In our day and age, there are a few aspects of his teachings that seem a bit outdated. More than ever, using cash-only is impractical… with all the delivery services I use in NYC, it’s downright impossible! Its important to note that the reason Dave has people cut up credit cards is because many are in credit card debt and have proven they cannot handle a credit card responsibly. You can use debit cards like credit cards and in place of cash which Dave also advocates. Finally credit cards are not the only way to influence your credit score so if that is your only reason for having them I would discourage that attitude. I do agree that once out of debt and financially independent their is nothing wrong with doing it differently, just don’t let the debt monster catch you again. As much as I love his program, it’s something I could never follow 100%. Like you stated, the credit cards! Not that they are required for my every day function (being a waitress, it’s actually super easy for me to follow the cash only system) but I realized how much I was missing out on rewards! This past Christmas I was able to pay for a few gifts using all the rewards I had racked up over the year and am hoping to go 100% this coming year. Same here! The rewards we’ve gotten from our credit cards are crazy. If you use them responsibly, there are so many benefits! We have never been strict Dave Ramsey adherents. However, he is the only financial guru that I am aware of who offers in-person classes/support classes, the Financial Peace University classes. These are also available just about everywhere, so access is good. Please do correct me if I am wrong on this. I think that the real-life, face-to-face, in-person support is extremely important for people to succeed in making the major life style changes that getting out of debt requires. Online stuff is great, but it is not a substitute for real-life people in your corner. And this is absolutely worth the $100 or so he charges for it. It’s a lot like dieting- it doesn’t really matter so much which diet you choose, what matters is sticking to it. Real life accountability partners help you stick to it. Yes, I think that’s an invaluable tool he offers. A goal becomes so much more real when you have a real person offering you real support. We’ll always be fans of what he does… just with some of our own interpretations :). My husband and I originally started off using the Dave Ramsey method, but it didn’t last long. I mean, our debt pay-off did, but not the way we go about it. A) Using cash for everything is annoying. And we have a credit card that has awesome rewards so why would we pass that up?? B) No way would I give up the free 4% my job matches on retirement contributions. C) We had one debt in particular with a crazy-high interest rate. We definitely paid that one off first even though it wasn’t the smallest. I understand the psychological advantages of the snowball method, but it made more sense for us to get rid of the debt that was costing us the most. Ha! You guys sound a lot like us. I think it’s great to take what he says and to be able to discern what to take and what to leave from it. It sounds like you guys have been more than able to have success without following every rule to a T! Glad to read it- I listen to Dave regularly and haven’t adopted all of his gospel either, even though he has been a massive influence in us. Credit cards are a necessity once you have learned discipline to budget. You can’t book a flight or a hotel on a debit card, at least not here in Canada. Plus by using and paying off our credit cards every month, we get airline points (just got $300 off a trip to LA with our daughter) and Costco rebate of about $200 a year. So very worth it, but using care and discipline. Thought of another Ramsey nugget I have altered – the emergency fund. He suggests 3-6 Mos and I refuse to do more than 3. If we saved 6 mos, it would take so long that we would never get to spend. Having 5 figures of savings covers most emergencies just fine. Yep… there are really no cons to using credit cards if they’re used within the confines of your budget and paid off in full each month! Great post! I suppose like a lot of things in life, there are no hard and fast rules. Dave Ramsey’s methods are fine for those who maybe need to be guided along so as to become debt free, i.e. their debt rehab so to speak. What I’m ultimately trying to say in a very ridiculous way is that everyone has their own way of doing things and what works best for them… Some need more structure and need to be “told” what to do to get out of debt and others do their own kinda thing to get to the same place… Hope this made sense! I think you and Joanna are doing a great job… Maybe someday there will be “The J&J Method” ?? !!!! Haha, I think our method is this: personal finance should be personal! You’re right that some need to be told what to do, especially in the beginning. I think/hope there’s a way to tell people what to do, while at the same time empowering them to make their own decisions along the way. I wish Dave would do a little bit more of that! I agree and disagree with some of the points in the article and comments. 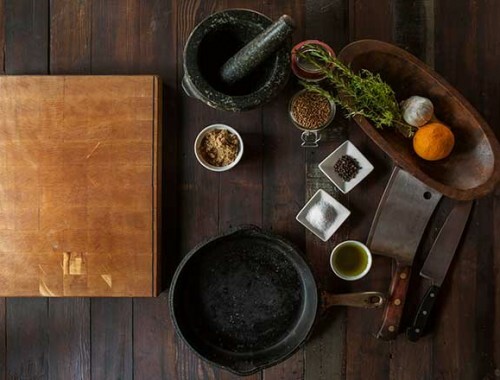 The one thing to keep in mind is – Dave’s plan is presented in a way that’s easy for anyone to understand and fairly easy for anyone to implement. By applying the same basic rules to everyone it shows confidence in the system by allowing him to remain consistant. It makes people feel as though they are just as likely to accomplish their goal as anyone else – whether you make $200,000 a year or $15,000 a year and whether you have $200,000 in debt or $2,000 in debt. It gives people hope. For the most part we’re sticking with the steps but I feel as though we’re doing things a little out of order. We’re paying off our house (in 3 weeks!) before seriously saving for college (that will be our next priority). I’ve never been more proud of anything – even though my 5 year old son says he hates listening to Dave Ramsey we’re setting an excellent example and building a legacy that we can someday leave behind. There is no doubt in my mind I owe 100% of that to Dave. As for credit cards I’m not sure we’ll ever get rid of ours. My wife and I each have ONE (IMO there’s no good reason to have more than one CC). Credit card debt has never been a problem for either one of us. She doesn’t use hers and all that goes on mine is daycare. We may end up leaving them open but not using them, maybe having monthly bills charged to them so we can keep our credit score decent with the cycle of borrow/pay. Ultimately it all boils down to the baby steps being the most effective way to get people to DO SOMETHING about debt. And that is THE most important thing. You make some really good points, Michael. I totally agree that his method is simple and effective, which is ultimately what’s most important. And it does encourage success across the board, no matter where you’re starting from. I do wish he’d present it in a way that empowered people to take and leave the parts that truly aren’t necessary. But, based on your comment and others’, it sounds like people already do that, so maybe he takes that into account! Also, major congrats on paying off your mortgage! Well done! YES! We finished FPU two years ago and have slightly deviated from the plan in almost all the ways you just described. Mostly the credit card versus cash thing. To me, psychologically it is completely opposite – cash is “play money’ because there isn’t a paper trail, whereas if I purchase something with a credit card, it is going to haunt me every time I check my account online (which might be a few times a day). However, I would still recommend Total Money Makeover / FPU to anyone who hasn’t read it because it helped open my eyes to budgeting, not incurring MORE debt, and thinking about future savings in a very simple and helpful way. So, of course, I am still very thankful for Dave (and for you guys too!). You and I are the exact same! I always feel that way when I’m paying cash. I always feel more accountable with my credit card because I know Johnny will see exactly what I bought, too! And agreed… we would recommend it in a heartbeat, as it’s what got us to seriously budget in the first place! We loosely used the DR when we paid off debt and recommend his book to anyone interested in getting their finances in order. But we did not adhere to all his rules. We used credit cards, but we did not have a credit card problem. I know people with many maxed out credit cards and I think in their cases, they should not use credit for a while. We have always kept a zero balance on ours, so we did not stop using them. I also agree that some student debt is not a terrible thing. I think it allowed me to have the college experience I had and gave me a stake in my education. I know someone who’s parents paid for all their education and they quit before their senior year. They did not feel any financial responsibility in that decision. We also used the avalanche because that made more sense to us. 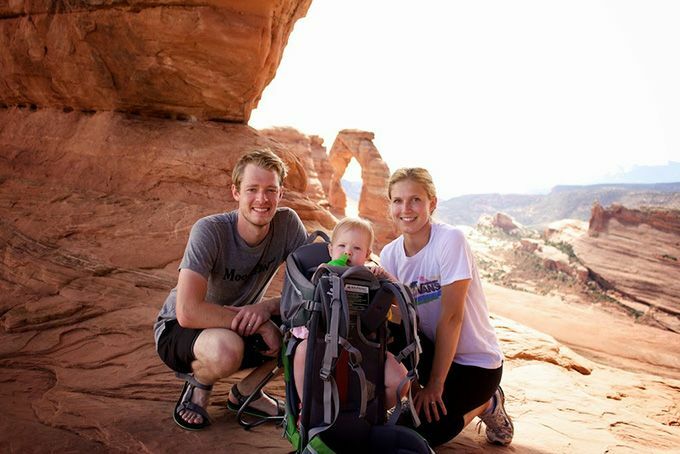 We paid off 56k in one year, so it worked for us, but was a very personalized journey! Exactly… I think that’s just what everyone’s financial journey should be — personal! It sounds like you guys did all the right things for your specific situation. And major kudos on paying off that much debt in a year! That is quite an achievement! Huge fan of Dave Ramsey but I am not following every rule either. I refuse to lower my pension contributions. I have not used a credit card in several months and have been paying cash for almost all my purchases; however I keep my emergency credit cards locked up and ready to use for emergency use only. I also take advantage of the 5% discount with my Home Depot card (which I pay off every month). That’s great… you’ve found a version of his method that works right for you! It sounds like you’ve struck a perfect balance! The way Dave Ramsey spreads his message he has to use a one-size-fits-all system, and it’s hard to find a better one. My biggest lesson from him is that money is more emotional than mathematical. However, I enjoy the emotional feeling I get from free money. I’ve never paid credit card interest, but I have flown my family of four across country several times on credit card bonus points. I’ve never passed on a company match to my retirement or HSA. Some people may be more motivated to get out of debt by reducing their interest than by reducing their number of debts. I agree, personal finance is personal so it works differently for each person. Get ideas from Dave Ramsey and many others (including OFB of course), then figure out your own approach to keep yourself motivated towards your own goals. Agreed… and maybe in the position he’s in he doesn’t feel like he can give people more than one option. My fear is that people who rely too heavily on what he says could get defeated early on because some of his advice is so stringent. If we hadn’t altered his rules, Johnny and I would have gotten burnt out in the very beginning. Also, love hearing all the ways you and your family are personalizing your own budget. There’s no better way to set yourself up for long-term success than to find those methods that work best for you… and it sounds like you guys have done just that! Hey guys! Hope you all enjoyed St. Patrick’s Day yesterday. Did you and Sally dress up in green? Now, as to the Dave Ramsey discussion, since my early 20’s (many moons ago) I must have read tons of stuff from financial writers like DR, although actually I’ve never got around to reading any of his writings. But you know many of these folks feed off each other in their writings, when you really look closely, so I have read elsewhere about many of the same points that he makes. As you correctly state, however, everyone has his/her personal life to lead so no one cookie-cutter (my-way-or-the-highway) approach is ever sufficient. Live, learn, make some mistakes and then keep moving forward in the right direction is the only way to go in getting ahead. Just ask any of the 1%-ers out there. Cash vs credit cards: both have their uses, if one has discipline and maturity then use credit but if not then don’t. As you found out, never cancel credit cards (and screw up your credit rating), just lock them away and stop using them if you feel the need. Totally save up for college: again no. Makes as much sense as saying save up totally in cash for a house. Look, America would never have become a superpower if everyone had to save up cash to learn stuff. America invests more than any other nation in the world in R&D. And it wasn’t done all just with cash. Not investing while paying down debt: Uh, again, a big fat no. Invest wisely but don’t ever stop investing (even in lean times, when there are bargains to be found). Even Warren Buffet has debts which he’s never completely paid off. As you correctly state, compounding of investment returns (especially in one’s early years) is the way to go. That is when time is your best investment friend. Fixed Amount Emergency Fund Savings: well here is where things (for me anyway get personal). I decided many years ago that I wanted all my money to work as hard as possible for me in earning more income. With that in mind I figured that putting $$$ into a safe liquid (but very low interest) savings account wasn’t going to cut it. So use what else? Before needing any emergency fund $$$, I instead decided to set up a non-secured Line of Credit account for as much as we could qualify for back in those days, which then was $50K. If needed for any for emergency then some (or all) of it was immediately available, with no hassle. If not needed, then it just sat there untouched, not costing a cent. In the meantime all our money would then be available for living expenses (like food, etc. ), paying down debt (like rent/mortgage etc) , investments (like retirement etc), or other savings goals (like kids’ future education, new car, furniture, etc). It’s worked like a charm – never had to use our L of C once over the years (touch wood)! So, like yourselves, over the years we’ve saved, paid down debt asap, budgeted and invested. Slow and steady. By all means, educate yourselves by reading from the financial resources out there but always do what you think is the best for YOU. Wise feedback, Rob. The emergency fund strategy seems a little less mainstream than what I’ve heard, but I’ve had the crazy idea of putting our emergency fund in a Roth IRA (principal can be withdrawn without penalty), but I backed away from the edge and having it sitting in a liquid savings account right now. BUT, I am going to think about your idea a little more. I like the logic, just want to see what my gut tells me. I totally agree! (And Racheal – I’m 100% with you on the cash = no paper trail problem.) It’s been several years since we took FPU – I know he’s updated the program since then. And like previous commenters mentioned, it’s the class community that really made a huge difference for us. My husband and I were forced to talk about finances and figure out a way forward that balanced free-spirit spender (him) and nerdy saver (me). The accountability and support from everyone in our class was so vital to helping us stay on track and keep our eye on our goals (student loan payoff, emergency fund, now down payment savings). I also know that the DR rules were super important in some of our classmate’s turnaround. They help jumpstart new habits and mindsets. And knowing your weaknesses and strengths, once you’re on track to success, it’s worth thinking about where to make your “rules” more personal. A year ago, we talked to a Dave Ramsey financial coach about how to make home ownership a reality for us in Boston (where, like NYC, housing is depressingly expensive for both renting and buying). After looking at our financial snapshot, she gave us some great tips that deviate a bit from Dave’s rules and are totally personalized for our situation. And we’re now getting ready to start the house hunt (with a great credit score thanks to hanging on to those responsibly-used credit cards). We’re forever indebted (hah!) to Dave, and recommend his rules for anyone starting on the debt-free journey. But once you’ve developed your internal financial compass, use that as a guide to help you find your own way! Thanks so much for sharing your story, Anna. Joanna and I haven’t ever taken Dave’s FPU, but based on the way you describe your experience, we felt that way after reading Total Money Makeover together. I love that a Dave-approved financial coach also gave you advice that was right for YOU and not right for Dave’s general audience. Good luck with your house hunt! This post is so timely for me! 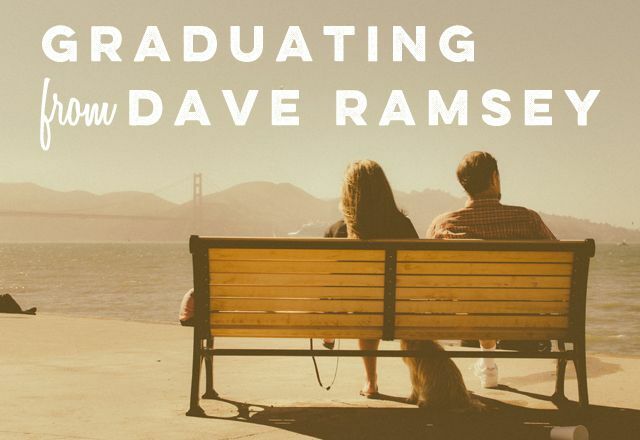 I’m in week 3 of Financial Peace University and the only reason I’m taking the class is because my church offers it and I figure I should see what all this Dave Ramsey stuff is about. I knew going in that all of his getting out of debt stuff wouldn’t apply to me and I knew that I wouldn’t be a fan of the cash envelopes system. Like you, I’ve traveled frequently using my credit card rewards and I continue to do so. However, I’m going to give the cash only system a try for a month just so that I can say I’ve tried it. I’m not going to do it forever simply because of convenience but also largely because I don’t want lack of cash in an envelope to be the reason I don’t spend money, I want my own willpower to stop me from spending money. And like Rachael already said, I think of cash as a traceless way of spending money. It’s much more convicting for me to see 5 Starbucks transactions in one week on my credit card than it is to have no trace of the fact that I’m spending too much money at Starbucks in particular. All that being said, I figure I’ll glean something from FPU and I also think that taking an actual class is a really good idea for couples. It forces you to go through step by step and talk about financial things that you otherwise might just assume you’re on the same page about. Definitely give the cash only method a try. It’s an interesting experiment if nothing else. But we’re with you on the power of electronic spending. Digital trail, refunds, theft protection, etc., etc. Dave differences aside, I’d still recommend everyone read his book/take his class. We’ve actually never taken FPU, but I’m sure you’ll be happy you did. I actually quit Dave because he was too negative-even though I do agree with a lot of his money principles. I just think that every person has a different approach to their money. There’s definitely a tough love to Dave, but I found him much more loving than Suze Orman, who I also dig. Clearly I’m okay with financial gurus who yell at me. I think your arguments are valid as long as you don’t fool yourself. I finished my debt snowball in January of this year when I paid off my house. I pretty much followed the Money Makeover rules for the last 6 or 7 years. The single biggest change for me was weaning myself off of credit cards. That was hard! I had gotten used to carrying around $5-$7K balance (10% of my gross annual salary) with those lovely people at Bank of America. If I wanted to go on vacation, I would just charge it. Every month I would send every last penny left in my checking account to the credit card company and then charge that much or more again. It was a cycle that left me with virtually no cash in the bank. I can only imagine how understanding BOA would have been if I lost my job back then. No, you definitely don’t want to be in the habit of carrying a balance on your credit cards. Forcing myself to stop using the credit card made me live on what I really had. I still have a few credit cards, but I don’t buy stuff if I can’t pay the entire balance. I hope I am strong enough now to never go back to the old way – the only way to 100% ensure that never happens though would be to get rid of them. Thanks for sharing your story, John. And congrats on your big milestone! That’s awesome. You’re absolutely right, if credit cards are a temptation, you should stay away from them. Whatever rewards offered are not worth the possibility of another Debt Monster relapse. Trust your gut on this one, John. If you think there’s a possibility, just cut them up. Thanks for this post! We have a lot of friends who swear by Dave Ramsey. My husband and I still have student loan debt and a mortgage, I think Dave Ramsey might have some good tips to help us–but my husband is reluctant to buy in based on the no credit cards and the debt snowball method (my husband prefers to pay off higher interest loans first). I am glad that others agree. At any rate, does anyone know if Dave Ramsey offers financial advice about planning for college savings for kids, or retirement? Once you get out of his first few baby steps, he talks about saving for retirement and college for kids. But his primary message and focus is getting out of debt — all of it. Even if there are a few things you disagree with him on, I would still read his book. It’s a good kick in the pants and was far and away the most inspiring and motivating thing for Joanna and I when we first started paying down debt. I think Dave Ramsey has done an excellent job of bringing awareness to our finances! He is passionate and has helped many people. We tried the envelope system a few times and it just wasn’t convenient. I also don’t care to have a lot of cash hanging around. Credit cards are a slippery slope and we’ve let ours get out of control yet again but we do love the cash back rewards and Nordstrom Notes! Dave Ramsey is totally the man. We’ve got no qualms with him and we still agree with 95% of what he preaches. But where we would have jumped off a cliff he told us to, we’ve backed off the ledge and he’s inspired us to think for ourselves — even when that means disagreeing with him. First time reading your blog, I love it so far! 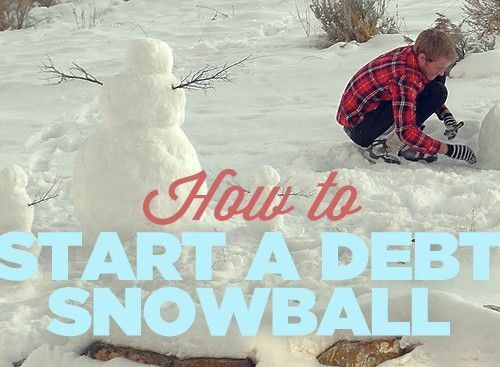 My husband and I did Dave Ramsey’s debt “snowball” about 4 years ago while I was pregnant with my oldest. It totally worked for us! It’s nice to be debt free. We also deviated from some of his advice though. We still have a mortgage, which I actually feel is a good debt! We also use our CC to pay for everything, the rewards points are like free money! I did just cancel a few cards that I haven’t used in years, I didn’t even consider it hurting my credit! Hopefully it won’t! Anyhow, thanks for the awesome site, I will definitely continue to read! Welcome, Jennifer! Thanks for reading! I think that you have to glean the best out of anyone’s teachings and recognize that everything has to be personalized. For me, I do use credit cards: it helps me stick to my budget (while also gaining $100 or so a year to put towards my debt/savings). I will always be in debt to Dave Ramsey for the “give every dollar a name” and the snowball approach. Yep, we feel the same way. Our perspective on money was changed thanks to him! Its funny because while I was reading this article it reminded me of when I was in FPU a few years ago and everyone in the class was happily cutting up credit cards and clapping and cheering…and I was sitting in my seat thinking “I DONT want to do this.” And I didn’t, haha. I love Dave Ramsey-love his books, love his podcasts. Now and then I like to re-read his books when I think I need a little refreshing again and get my act together a bit more. But I agree that I dont follow him 100%. Cash only isnt for me, credit cards are my friends, debt snowball completely worked for me (yay debt free! ), I definitely kept saving for retirement during my debt payoff, and I kept my emergency fund higher too since my job was contractual and I worried about layoff. So I used his method, and became debt free, but wasn’t “perfect” haha. I think there are a lot of us out there that love him, but dont drink ALL the koolaid, jut some of it. That being said…like many, I love my credit card points. Can someone please tell me how to utilize my credit cards for airline points? Actually, I recall you guys wrote a post on this before. Does anyone use their “regular” credit cards to earn airline points? I have several credit cards (pay em off in full each month, dont worry!!) like Bank of America cash back card, and a travel rewards card, etc but I dont have any airline credit cards. This is an area I want to get more skilled in rather than maybe using my earned points for gift cards during Christmas season. Any advice is appreciated. Unless you’re Dave Ramsey and you tell me I’m a horrible person for asking this question. OH and one final Q..you know how Dave is always pushing 15% of your own money towards retirement? My company puts 10% of my salary into my 403b (mutual funds) which I am 100% vested in. I put about 8% of my money to max out a Roth IRA. I like to think Im saving 18% towards retirement but Dave would say Im supposed to ignore my companys contribution… thoughts? Fist bump on avoiding all the kool aid. It’s mostly good, but it’s the last sip you need to watch out for. For airline points, the key is to find an airline that has a hub or at the very least flies into your airport to destinations you’re interested in. While we lived in North Carolina, that meant our JetBlue Amex was basically worthless. So we switched to Southwest, which also happens to have really favorable point valuations AND really inexpensive flights. Ideally you’ll sign up during a really good promotion where you can get 50,000 points or something by spending $x in a certain amount of time. That intro promo is usually good for at least a RT flight. For your retirement percentage, as far as we’re concerned, you’re saving 18% toward retirement. Obviously if you can contribute more, go for it. But that 18% represents the same number whether it all came from your pocket or not. 10% of your salary is 10%. I wouldn’t count any the company puts in as a match, but you are putting in the 10% even though it comes straight out of your check. This was a very good read and I agree with the points you make although I love what Dave is doing. This is something I teach and you pointed out the key thing “personal finance” it’s about finding a system that works for you even if you have to tweak it some after understanding the game. Once gain great read and thanks for sharing. Great post! We have been feeling a little guilty because we just purchased a home and we’re still on Baby Step 2. We paid all our consumer debt off (over $102K) but still have lots of student loan debt. We just felt we couldn’t wait any longer to start building equity and investing for retirement. We still love Dave and are forever grateful for the principles that have gotten us this far. However, you are so right. Everyone has to do what’s right for them and there’s no one size fits all solution. The one area in which I agree with him the most is credit cards. It seems that most people who use them do not have discipline. Dave is speaking to the masses so, in my opinion, his view makes sense. If most people were responsible with credit card companies, it would not be as big of a business as it is. Of all the people that I know, a handful are responsible with credit cards and can reap the benefits. Most others are drowning in debt and live in a state of quasi-depression on a daily basis. I am rather open with my debt situation(and have been for years) so I have spoken with many people about their credit card debt and the toll that it takes on their lives. For every person who says they can handle credit cards, how many are being crushed by them? Re: student loans, as someone who has struggled with this for years and years, it can be absolutely crushing; however, I think the real solution to this problem lies in changing the cost of education instead of working your way around it. Hello! I really enjoyed reading this post! I just completed listening to the ‘Total Money Makeover’ audiobook. I am currently working on my snowball effect. I agree with a lot of what Dave says. However, like you all, I don’t believe credit cards are all bad if used responsibility. One thing that I really have a hard time with and strongly disagrees on is selling a car that you are upside down in. His advice to take out a loan for the difference between the actual cash value and the amount owed once the vehicle is sold makes absolutely no sense to me. I get the idea of owing the lesser amount, but now how am I going to get another vehicle I don’t need one, just asking a rhetorical question)? I live in Houston and I need a good reliable car to get everywhere. The idea of a $1000 to $2000 car does not sit well with me at all. I believe in trying to live debt free for sure but DR’s approach is mainly for people who have a problem with credit cards. Also he doesn’t really clearly explain the life insurance exceptions. Coming from a Hospice back ground I’ve seen many people not saving because they were paying off debt or mortgage but when illness happen to them or one of their immediate family members they weren’t prepared. Also many of the Zander policies don’t have a conversion option so if someone turns 55 that had a 20 year term and now they are terminal or just unhealthy things could get tough. If they had alot of debt and hadn’t started saving, then that’s when you see seniors selling their homes and moving in with family to subsidize their social security. There are sooooo many opions out there, just be careful. Often once you retire your social security may not be enough and if you withdraw to much on your 401k or IRA then not only is it taxable but social security could be as well. If you haven’t saved enough that’s when people start to get into reverse mortgage trouble. Its not as simple as he makes it sounds. Trust me I’ve seen the reality for over 15 years. We’re down to about 1/4 of our original student loan debt ourselves and then our mortgage. I did the credit card shuffle right before I started with DR and once in the middle of paying for things that were either lower or more urgent than our credit card debt (having babies is expensive and hospitals expect you to pay them quickly, or even first.) and that saved us at least $500 in interest. I also kept my 10 year old credit card open because they like to make me nice “loyalty” offers that make me feel good about being on the right track when I ignore them, and I opened a new one with our bank to make our checking accounts free ($40 a month is $40 a month, you know?). Now that we’re out of cc debt I use that one for my food budget and make $10-20 a month in rewards which at least pays for Netflix. We also continued to pay into our IRA because of company matching. Envelope system would never work for us bc with two kids, I can’t remember what day of the week it is most of the time, much less what day of the month. Then there’s the concept of taking a two year old and screaming six month old out to pay bills with cash. No. My bank pays all my bills for me on time and I can blissfully continue to have no idea what day it is and everything’s happy as long as I balance the account one or two times a month to make sure we have enough in it to keep from dipping past the 1k emergency fund (which is plenty for us as my hubby is quite handy and can fix most things for the cost of materials). Cheap car is also fine for us, I totaled my car this summer and we spent only the insurance payout on the “new” one. It’s 15 years old, but we did some research on the type and it’s had no issues for us and we actually like it better than the old one we paid twice as much for. We’re probably also going to take a break from the baby steps when we’re debt free to celebrate and then buy a bigger house before we start in on serious retirement investment and our (hopefully new) mortgage (2 babies in 700 sq ft is not sustainable, and we plan on more babies). Congrats on your progress, Susan! You sound like you’re definitely on the right track. Keep on keeping on! This was an absolute pleasure to read. There’s a cultist mindset (my own doing) when I began following this and I’m glad there was because I needed someone to tell me what to do and how to do it. Over 3 years into this now and another 2-3 to go until we’re debt free, I feel so confident to be able to make my own way with my wife and do what’s necessary to ensure a life that’s not financially broken in the future. This has been empowering to read and you’re both wonderful people who aren’t afraid to challenge. I LOVE IT. Thanks again for this. God bless. Jumping on like two years later…lol. We are doing Dave Ramsey and loving it. But yes, I completely agree with a few of your points. My husband has an amazing federal retirement package so while paying off debt, we are also maxing that out. It has meant sacrificing on the house front and other niceties (we only drive one car with four small kids), but I think it will really pay off when his retirement comes due. Also, completely agree about the emergency fund. With our family size, $1000 just isn’t going to cut it in a really bad situation. We have about $4000 and hope to grow it to 7 or 8 at the same time as working on the debt. We are actually pretty “fortunate” in our debt situation, though, which makes our other “rule-bending” both possible and reasonable. The only interest-bearing debt we have at this point is the car. We have a lot of student loan debt, but it is ALL to family (a personal loan). They were in a position to help us by lending it, but like responsible parents, didn’t want to just give handouts. So we are paying them back in full, but don’t have the stress and inflexibility of interest and a bank if times get really tough. The odd thing we have discovered is that once we started doing Dave Ramsey’s method, somehow life has started “rewarding” us for these good decisions. Or maybe Providence. :). My husband’s salary just went up another 10K and the house we bought, though hilariously outdated, is less than twice his salary. Its so worth it to see the proud look on parents’ faces when we are able to return the generous gifts they lent us. I think its the freedom associated not just with having financial freedom, but with being people of honor and integrity. Cheers! And thanks for a great post!